From Left: John McCarthy, State’s Attorney for Montgomery County facilitates panel with Marilyn Mosby, State’s Attorney for Baltimore City, Aisha Braveboy, State’s Attorney for Prince George’s County, and Anne Colt Leitess, State’s Attorney for Anne Arundel County. 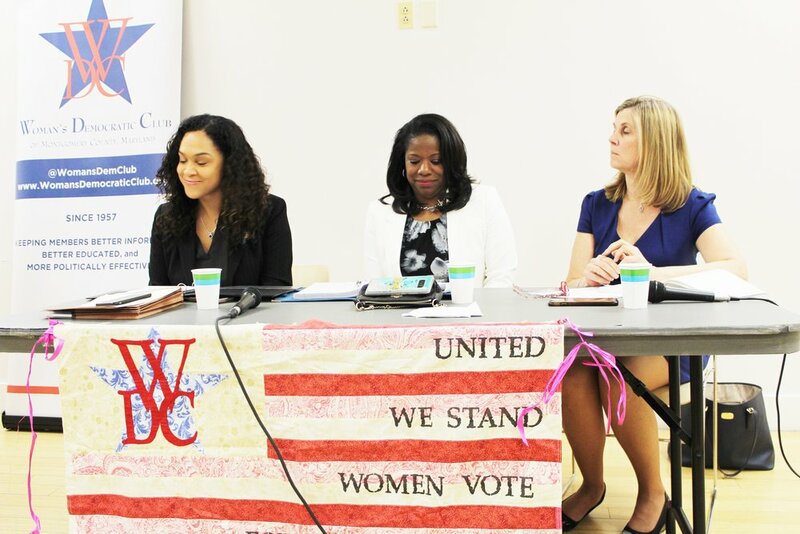 Woman’s Democratic Club of Montgomery County, MD (2019) testimony on affordable housing, aging, children and youth, criminal justice and public safety, health, and working families. Read WDC's 2018 written testimony as it relates to our priority issues: Affordable Housing, Aging, Children and Youth, Criminal Justice and Public Safety, Health, and Working Families.